One may not think of castles in Massachusetts, but North of Boston has four. Gothic windows, stained glass, gorgeous hard wood floors, beautiful settings and gardens grace these incredible architectural beauties. 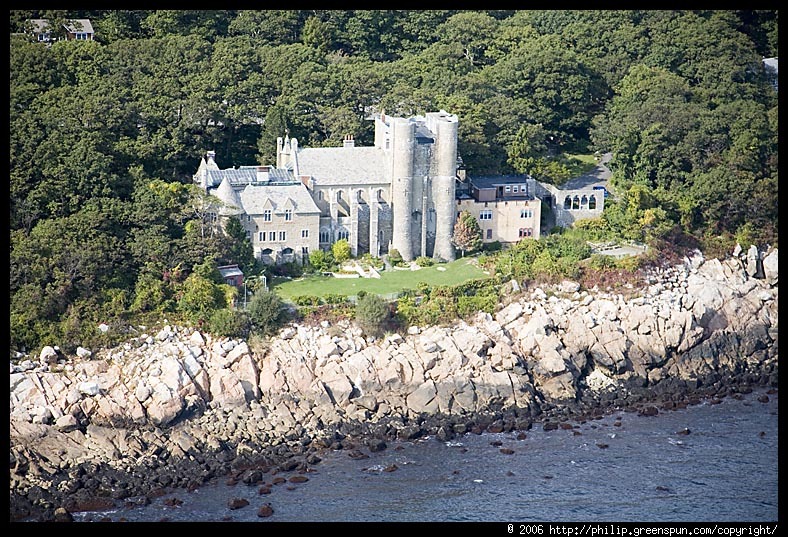 Driving north along the coast is Hammond Castle, built by inventor John Hays Hammond, Jr. He built his medieval-style castle between the years 1926 and 1929 to serve both as his home and as a backdrop for his collection of Roman, medieval, and Renaissance artifacts. The castle was constructed as a wedding present for his wife Irene Fenton Hammond to prove how much he cared for her. In addition, the building housed the Hammond Research Corporation, from which Dr. Hammond produced over 400 patents and the ideas for over 800 inventions. Second only to Thomas Alva Edison in number of patents, John Hammond was one of America’s premier inventors. His most important work was the development of remote control via radio waves, which earned him the title, “The Father of Remote Control.” Hammond offers self-guided tours and a number of educational programs and prearranged tour opportunities for school and tour groups. 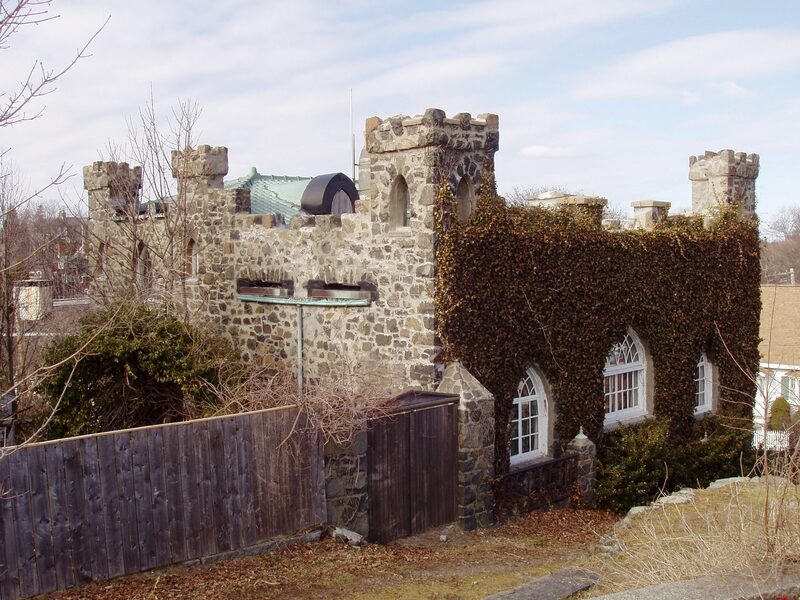 In the northwest end of the region, you will find Winnekenni Castle in Haverhill, built in 1861 by Dr. James R. Nichols as a summer home for his family. Winnekenni Park sits atop a hill off of Kenoza Ave in Haverhill which looks over the scenic Kenoza Lake and Basin. The winding road leading to the park will bring you to a strange sight indeed – a medieval castle. In 1861, chemist, agriculturist, and future-castle enthusiast Dr. James Nichols purchased the Darling Farm (now known as Winnekenni Park). After an 1870s visit to England, Nichols (much like Waldo Ballard a few decades later) became enamored of the country’s large stone castles and was determined to build on of his own. 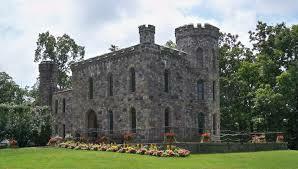 He wanted to use the many boulders and rocks native to Haverhill and, in 1873, construction of his castle began. Upon completion in 1875, Nichols christened his summer home “Winnekenni Castle” (after the Algonquin word meaning “beautiful”). The castle was, and still is, beautiful and is complemented by its lush surroundings. Nichols lived in the castle for 10 years before selling the castle and its 27 acres of land to a cousin. Today, Winnekenni Castle is a popular destination for photographers and castle buffs. Throughout the year, many concerts, fairs, parties, fundraisers, and other such events are held at the castle. The castle is also available for private events such as meetings, family gatherings, and weddings. The trails throughout the property are fantastic for snowshoeing, hiking, biking, and cross-country skiing around Kenoza Lake. 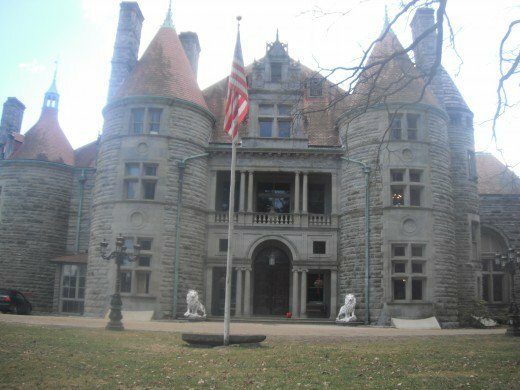 The fourth castle is Edward Searles Castle found in Methuen. Edward Searles was employed by a design firm and was asked to go to California to do some work for Mrs. Mary Hopkins the widow of Mark Hopkins who was one of the founders of the Central Pacific Railroad. From that day on the two became friends and a number of years later in 1887 they became man and wife. They both decided to make Methuen their home. Mrs Searles died in 1891 and was buried in a beautiful mausoleum across from the estate. At this time Searles was the sole inheritor of the Hopkin’s railroad fortune which was valued at $30,000,000. Edward Searles built the Searles Castle in 1891 using his inheritance. Today the estate is the home of the Presentation of Mary Academy. There are many other estates and mansions in the region, that are majestic and stand like castles on the horizon. Visit our website for listings of historic homes and properties in the region.